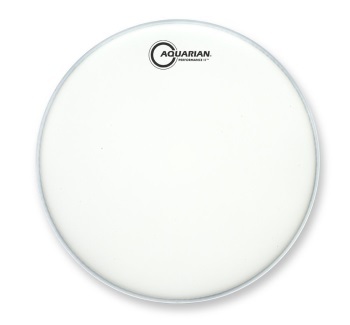 The Aquarian Response 2 Texture Coated Drum Head is a 7mm 2-ply drum head. It is manufactured using the Aquarian Vacuum Process which eliminates air bubbles and wrinkles between the plies. It provides a full sound with great attack and consistent tone. The head is coated in the texture coating which provides durability, resonance and projection.